Discover the recreational activities in the Bavarian town of Leavenworth and the Wenatchee Valley. Find information on what to do such as hiking one of the hundreds of trails in the Okanogan-Wenatchee National Forest, golf, rafting the Wenatchee River, skiing and snowmobiling in the Cascade Mountains, zip line over Beaver Creek Valley and much, much more. Be sure to check out one of the fun and popular festivals such as Oktoberfest and the beautiful Christmas Lighting Festival. Come and play at the Icicle Junction Activity Center! There's a great Bavarian-themed 18-hole miniature golf course. Connect with family and friend while playing a board game or arcade game, refresh with a snack or beverage at the Connections Café. Watch a sports game on the big screen – 10 feet wide by 7.5 feet tall. Spend the whole day with your family and friends! Located in the Icicle Village Resort at the west entrance to Leavenworth. Ride 8 ziplines and cross two suspension bridges and ride our ziplines a distance of 650 feet from ridge to ridge and as high as 190 feet over Beaver Creek Valley. Great for family bonding, corporate team building, or, just plain fun! Our certified guides will assist you on each exciting step of your Zipline Adventure! The construction and operation of our ziplines meet or exceed the Association for Challenge Course Technology (ACCT) standards and our guides have also received extensive training and perform daily inspections of the course and equipment. Festivals and Events: Check out one of the many festivals like the ever popular Oktoberfest and Christmas Lighting Festival. You will find something to celebrate all year long. Fishing: Grab your tackle and head for Icicle Creek, Lake Wenatchee or Fish Lake. Leavenworth National Fish Hatchery. PO Box 549, Leavenworth, WA 98826. Phone: 509-548-7641. Golf: Miniature Golf? Try the Icicle Inn. Championship putting course? Try the Enzian Falls. Regulation 18-hole course. Hiking: The area offers hundreds of miles of hiking trail whether for leisurely strolls, half-day hikes along a cascading streams, or serious adventure. Horseback and Horse-drawn Rides: Several ranches and outfitters in Leavenworth and the area offer year-round opportunities for horseback fun and adventure whether your choice is summer trail and hay rides, or, winter sleigh rides. Skiing: Leavenworth and the surrounding area offers miles and miles of cross-country ski trails. For downhill skiing and snowboarding, the town is ideally located between the Stevens Pass and Switzer ski areas. Whitewater Rafting: Take a wild ride on the nearby Wenatchee River, the most popular rafting river in the state of Washington. Click on Rafting the Wenatchee to learn more about the river and what you might expect. Though individuals and private parties often float the river on their own, the majority of people go with a commercial outfitter. Click on Wenatchee Rafting Outfitters for help in choosing an outfitter and planning your rafting trip. In case you show up in Leavenworth without your gear, one of the following local outfitters and suppliers probably can provide what you need for safe and comfortable outdoor fun. Der Sportsmann. 837 Front Street, Leavenworth, WA 98826. Phone: 509-548-5623. Leavenworth Outfitters Outdoor Center. 21312 Highway 207, Leavenworth, WA 98826. 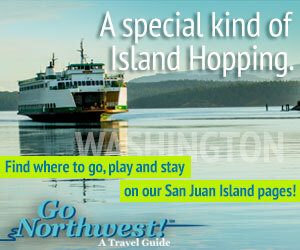 Phone: 509-763-3733; Toll-free: 1-800-347-7934.